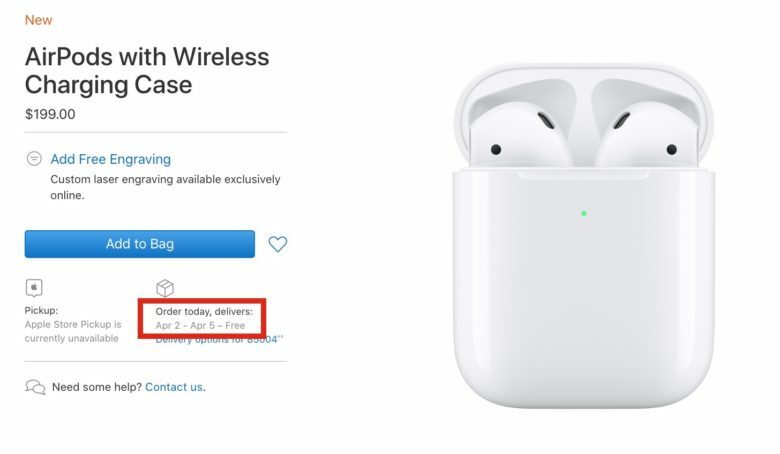 AirPods quickly became Apple’s second-fastest selling product of all-time before today’s update. It looks like the wireless earbuds are set to get even more popular now that Apple has added more features. The design of the new AirPods is practically identical to the old design. All of the changes are internal, but they’re worthwhile. Apple added a new H1 chip to offer better connectivity. They also pack better battery life and “Hey Siri” support, allowing wearers to make calls, skip tracks, and even adjust volume by using only your voice. Apple also added wireless charging to the case so you can plop your AirPods down on any Qi charging pad for a quick recharge. The new AirPods are available to purchase today from Apple.com and will are set to hit retail stores next week. They’re priced at $159 just like their predecessors. The new Wireless Charging Case is priced at $79. You can also buy AirPods and the Wireless Charging Case together for $199.